This book was by far one of the best Nicholas Sparks books I've read, and I've read most of them! It was a nice change from his usual love story template novels. ((You know, two people who would never be together fall in love)). This story has added suspense and keeps you "turning the page" as cliche as it sounds. It was great. The themes were more than love and trust, they were also, more specifically, about the DANGERS of love and too much trust. Excellent ending as well. 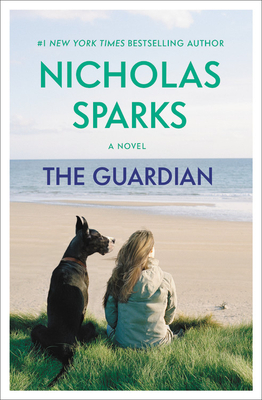 A MUST READ FOR ALL NICHOLAS SPARKS FANS. IT IS DIFFERENT FROM HIS USUAL LOVE STORIES BUT IS STILL JUST AS SUSPENSEFULL. Instead of the usual love story by Sparks, this one is a love story combined with a stalker thriller. Whereas I enjoy Sparks usual love stories I also enjoyed this. I wouldn't be surprised if this Nicholas Sparks' book becomes a movie too. Quick read, I would recommend it. Sparks proves he can write thrillers as easily as he writes love stories. This combination love story/thriller about a stalker is well done. You get an inside look into the mind of the stalker, although your intuition sends up red flags long before you can read his thoughts. The love story that develops between Julie and Mike shows the emotional struggles involved in moving a relationship from a solid friendship to something more serious, especially when he had been her late husband's best friend. Again, likeable main characters, witty dialogue, and plenty of action. A twisted psychopath who at first seems too good to be true, and a family pet who has great intuition, as well.